Not My Job: CNN's Jake Tapper Answers 3 Questions About Iowa The game is called "You know, we still exist in nonelection years, too." Three questions about Iowa, where every four years the political press descends like a plague of locusts in sport coats. We recorded the show in Des Moines this week, and on the way to the theater we we passed about 16 presidential candidates, and 40 journalists chasing them. To help us make sense of this madhouse we invited our friend Jake Tapper — host of CNN's The Lead, and one of the moderators of the second GOP debate — to the show. We'll ask him to play a game called "You know, we still exist in nonelection years, too." Three questions about the state of Iowa, where every four years the political press descends like a plague of locusts in sport coats. And now the game where we ask people who know a lot about one thing to answer questions about another thing. On the way to the theater here in Des Moines, we passed about 16 presidential candidates and 48 journalists chasing them. So who better to help us make sense of the quadrennial madhouse here than our friend Jake Tapper, host of "The Lead" and "State Of The Union" on CNN and the moderator of the second GOP debate this fall? Jake Tapper, welcome back to WAIT WAIT ...DON'T TELL ME. JAKE TAPPER: It's great to be back. Thank you so much. SAGAL: So we wanted to talk to you from Iowa because you've been in Iowa many a time. Can you share some caucus memories with us? TAPPER: The best caucus memory was in 2004. I was a young reporter with ABC News, and all the big anchors had parachuted in, so there was no way I was going to get on. The night after the Iowa caucuses - Peter Jennings, Diane Sawyer - everyone was in town. So my producer and I went out and, of course, got drunk. And we - after - we didn't really actually get drunk, but we did have a few cocktails. And then afterwards, we headed over to the winner's party, and that was John Kerry that evening and at the lovely Hotel Fort Des Moines. And I walked into the Chequers bar in the Hotel Fort Des Moines and saw this beautiful angel. And long story short, that's my wife and the mother of our two children. SAGAL: So you can say for certain that something good came out of the Iowa caucuses. TAPPER: And out of the Kerry campaign. SAGAL: ...Can you - yeah, well, yes. SAGAL: You were dealing with these squabbling Republicans for something like six hours it seems. TAPPER: Thankfully they were squabbling with each other and not with me so much. And I really just had a great time and thankfully, hopefully didn't become too much of the story myself after the debate. SAGAL: No, you didn't. The CNBC guys did. And what's interesting is that the CNBC guys this week were criticized for trying to get the candidates to go after each other, but you did that too, if I remember correctly. You brought up criticisms that one candidate made of the other and asked them to respond. Is there a reason why you guys do that? TAPPER: Well, I think I did it a little differently. I hope I did it a little differently. But the truth of the matter is, you know, these guys are my friends, they're my colleagues, and there's nothing I dislike more than seeing other journalists snipe about their fellow journalists even though I know that journalism, as a rule, is slightly less collegial than the Medellin Cartel. SAGAL: I'm wondering how you practice 'cause we know that, certainly, in presidential debates, the candidates practice with, you know, fake opponents, somebody playing the opponent. Did you wargame what would happen if a candidate turned on you? Well, Jake Tapper, that's exactly the kind of question I would expect from a liberal, mainstream-media lapdog like yourself, and you should be ashamed of yourself. And what do you say? ROXANNE ROBERTS: Can I ask a quick question? ROBERTS: Jake, this is Roxanne. ROBERTS: During the Democratic debate, Hillary Clinton snuck away to go to the bathroom. And I'm curious - you presided over this incredibly long debate. Did anyone sneak off? I mean, I realize this is a very practical question, but I was curious. SAGAL: I did notice that there are a lot of catheter ads on CNN. TAPPER: (Laughter) We had one break that was going to be long enough for the run to the restroom, and it was like the running of the bulls during that one break. SAGAL: What happens if you, like, you've been - I mean, your debate was - I don't think it was as combative as we've seen, but, certainly, you were giving some of these guys a hard time. What if you run to the bathroom, in comes Donald Trump, you're standing there next to each other facing the same way, I hope. TOM BODETT: Maybe not with that guy. SAGAL: They do seem hostile toward the media, so off stage, are you guys friendly? Is it all, like, oh, that's just for the cameras, we're actually all pals? TAPPER: Thank you for walking away from that really strange hypothetical. TAPPER: I mean, really honestly, because first of all, we had 11 candidates, not 10. Second of all, we were three hours. And third of all, it was so hot. TAPPER: It was so hot. The lights were brutal. And we had been told that it wasn't going to be that way, but it was. And so it was almost like we were all, you know, almost getting through a marathon together. LUKE BURBANK: That was the first Bikram debate they've had though. BURBANK: So that was sort of cool. SAGAL: Increases your flexibility. Before we move on to the game, we did want to - I mean, you've had already at a relatively young age, an amazing career in journalism. And this week, of course, must have been one of the highlights because you were there on the front lines talking to America live during the crisis of the runaway blimp. SAGAL: And I just wanted to ask you as a journalist, really as a citizen, how did it feel to be the voice that America turned to as we worried about the blimp? BODETT: Yeah, I bet he felt better than the guy who let the blimp go. TAPPER: The aerostat? The military aerostat? SAGAL: The aerostat, yes, thank you. It's not actually a blimp because it doesn't supposed to go anywhere. It's an aerostat. Yes, that's what I mean. TAPPER: I called it that to make it seem less silly. TAPPER: You know, I just was happy that at the end of the broadcast, I wasn't saying, oh, the humanity. BILL KURTIS, BYLINE: You Know, We Still Exist in Non-election Years, Too. SAGAL: The Hawkeye State, yes, ok, yay. SAGAL: We're going to ask you three questions about the real Iowa. So get two right, you'll win a prize for one of our contestants - Carl Kasell's voice auctioning hog futures on their voice mail. 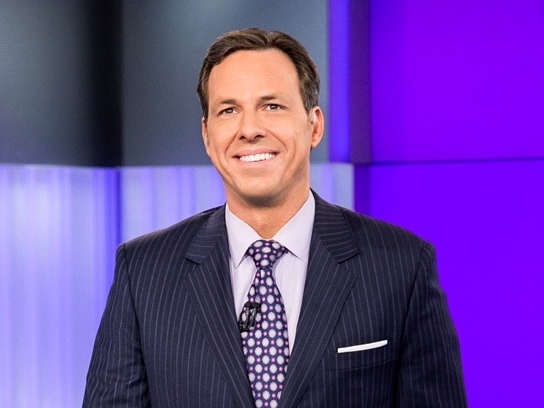 SAGAL: Bill, who is Jake Tapper playing for? KURTIS: Helen Parks of Valley Junction, Iowa. SAGAL: There you go, an Iowan. SAGAL: Don't let her down. You don't want to let her down. Iowans are kind to people, but they never forgive. SAGAL: ...Such as which of these, A - the world's deepest gopher hole in Belmond, Iowa, B - the last survivor of the Great Cola Wars Memorial in Grundy Center, Iowa, or, C - Elwood, the world's tallest concrete gnome in Ames, Iowa? TAPPER: I'm going to go with Elwood. SAGAL: Yeah, Elwood is the way to go. SAGAL: Not far from here in Ames. SAGAL: Elwood is 15 feet tall. He's only in Ames - about 40 miles, so you can actually see him from here. Second question, Iowa is famous for its role in American musical history. In fact, it was right here in Des Moines that what happened, A - Ozzy Osbourne bit the head off a bat, B - Guy Lombardo first saw an automatic bubble machine, or, C - Miles Davis was asked, are you feeling blue? And he said, kind of. TAPPER: That's a tough one. TAPPER: The first one was Ozzy Osbourne - I'm going to go with Ozzy Osbourne. SAGAL: Ozzy Osbourne - they're proud of it, they know it's right. SAGAL: It happened right here in Des Moines in 1982. All right, last question for you, Jake. You're doing well so far. Iowa faced a big controversy during the construction of the Sioux City airport some years ago. What happened, A - residents were outraged when the airport unveiled its slogan over the construction site - finally, you can get the hell out of Sioux City. SAGAL: B - a local pork lobbyist gave the airport so much money that they painted the runways to look like giant strips of bacon, or, C - the FAA gave them the airport code S, U, X, or SUX, and the mayor was totally not happy about that. TAPPER: I'm going with C.
SAGAL: Bill, how did Jake Tapper do in this debate? KURTIS: Jake got them all right - 3 and 0. SAGAL: You see, that's the difference between our show and those debates that you guys do. We have a clear winner. SAGAL: We don't need to go to the spin room. We know it was you, congratulations. TAPPER: I don't know what you're talking about. Donald Trump has won every debate. TAPPER: According to Donald Trump. SAGAL: That is true. He is a one-man focus group about Donald Trump. Jake Tapper is the host of "The Lead" and "State Of The Union" on CNN and a friend of this show. Jake Tapper, thank you so much for taking some time. SAGAL: In just a minute, Bill is king of the world in our listener limerick challenge. Call 1-888-WAIT-WAIT to join us on the air. 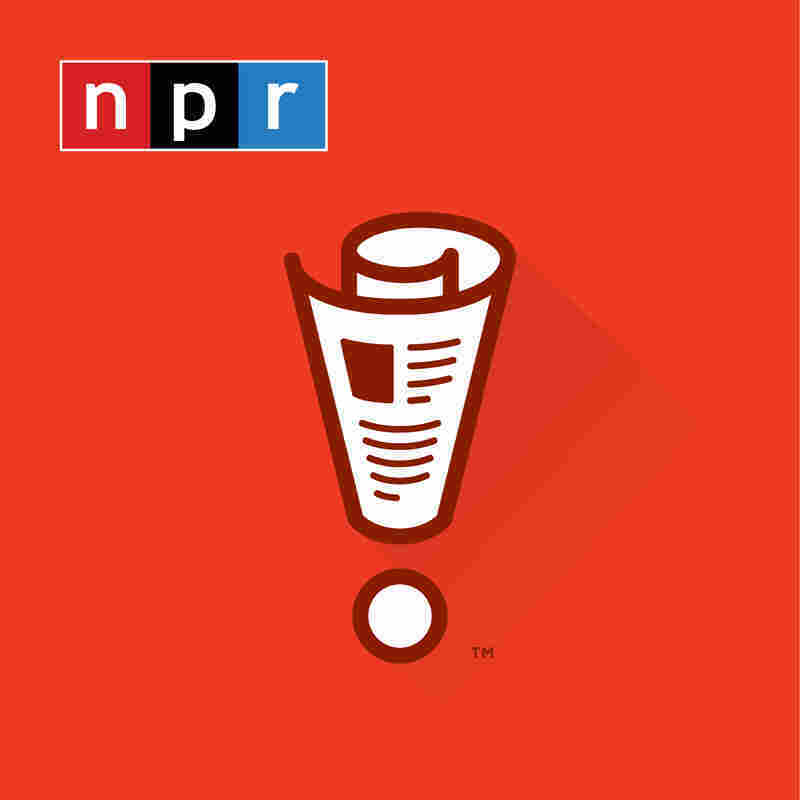 We'll be back in a minute with more WAIT WAIT ...DON'T TELL ME from NPR. KURTIS: Support for NPR comes from NPR stations and Progressive Insurance, working to make progress for more than 75 years. Angie's List, where members can shop and buy services from local businesses, including house cleaners, handymen, landscapers and remodelers. Learn more at angieslist.com. TIAA-CREF, a global financial company dedicated to delivering financial outcomes that matter. TIAA-CREF, created to serve, built to perform. Learn more at tiaa.org. And Subaru, automotive partner of the National Park Service Centennial. Subaru encourages people to explore America's treasures and discover a National Park adventure at findyourpark.com. Love, it's what makes a Subaru, a Subaru.